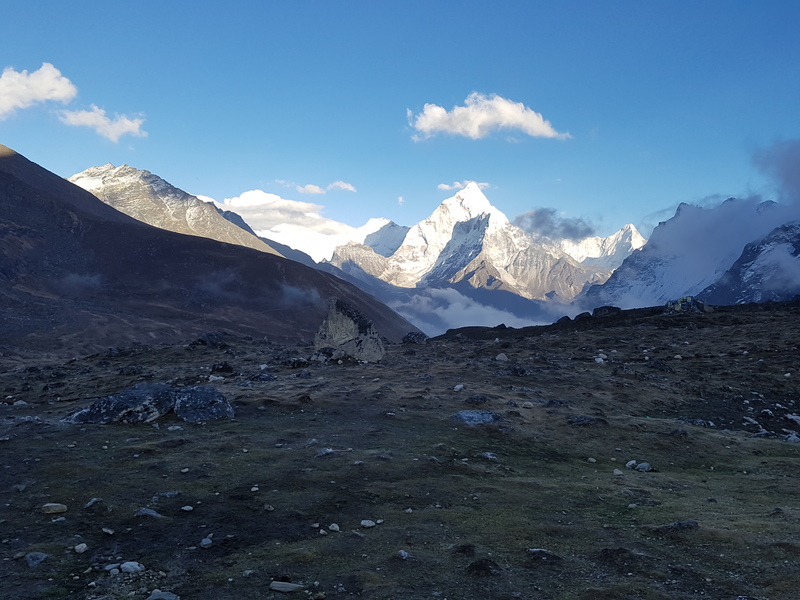 Everest Base Camp via Cho La Pass and Gokyo Lakes is now accepting reservations for treks beginning October 10, and December 1, 2018. 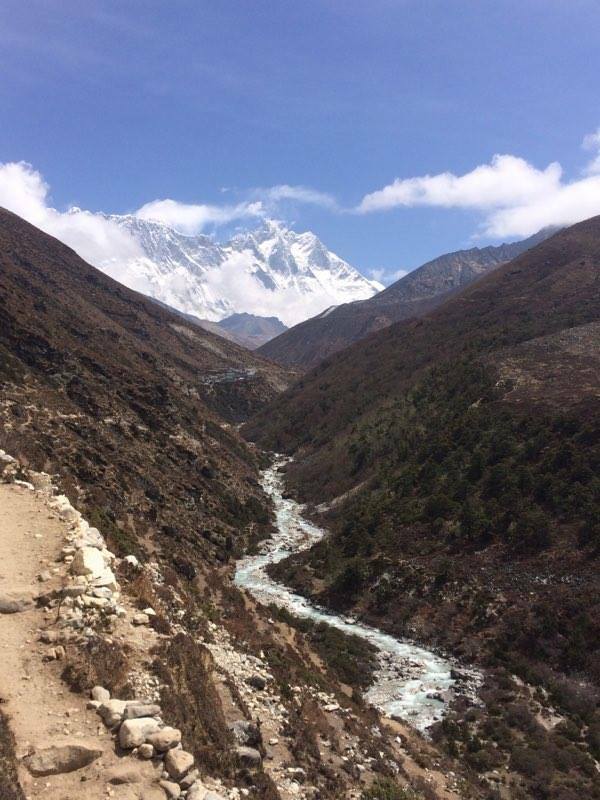 Everest Base Camp trek via Cho La Pass and Gokyo Lakes is an alternative way to get to Base Camp. It’s a bit more challenging but, with quiet and stunning views, it’s worth it! 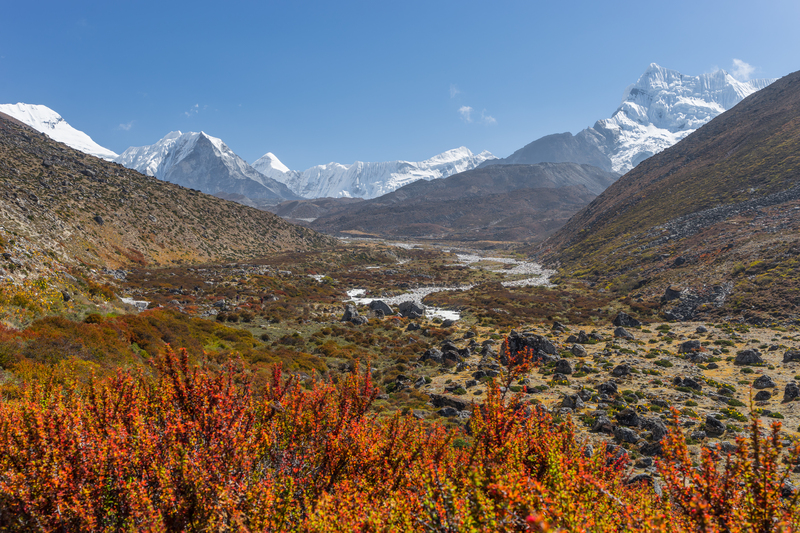 This trip includes every part of the traditional EBC trek, plus a stop at the turquoise glacial lakes of Gokyo and an exhilarating trek through Chola Pass. 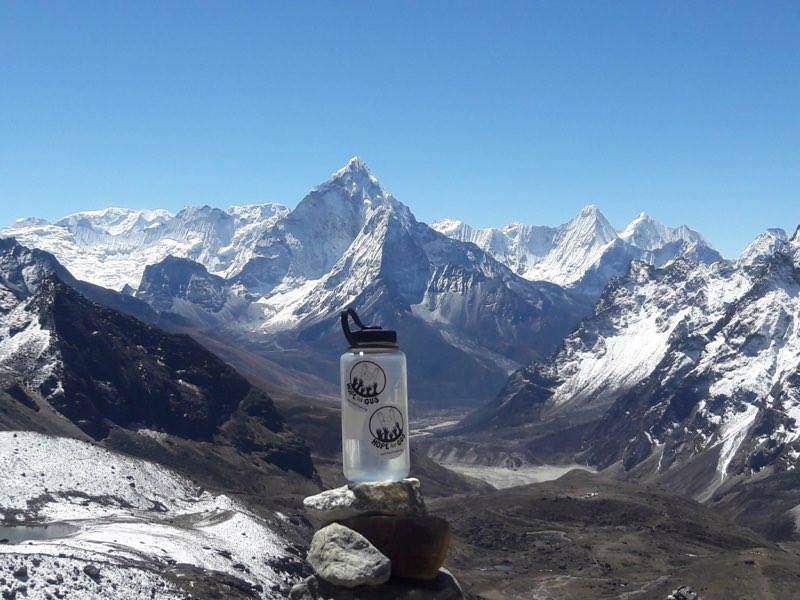 From the Gokyo Valley, you will see Mt. Cho Oyu, Mt. 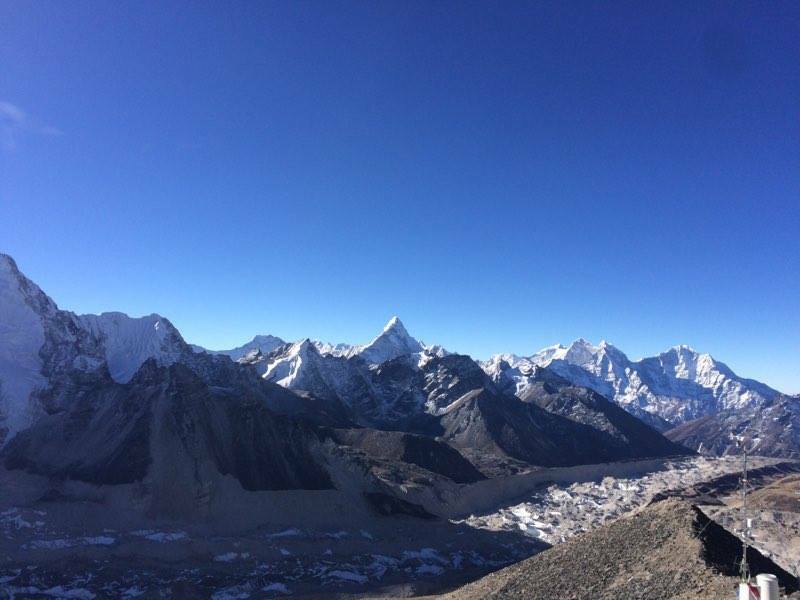 Everest, Lhotse, Amadablam, and others. 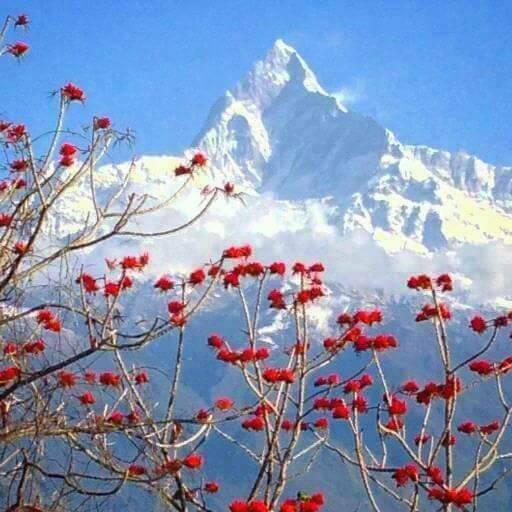 Many say the view of Everest is better here than anywhere else in Nepal! 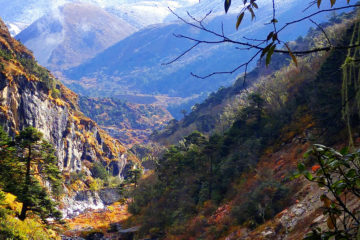 This trek is truly the best the Himalayas have to offer. 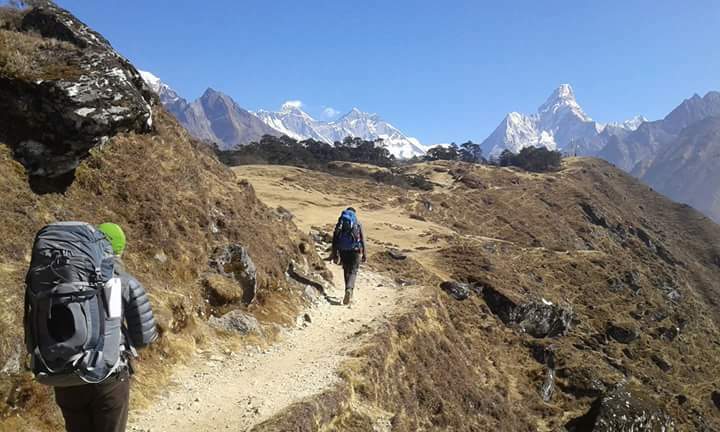 You will encounter every kind of terrain and view available in this region and cross the high valleys of Khumbu Glacier. 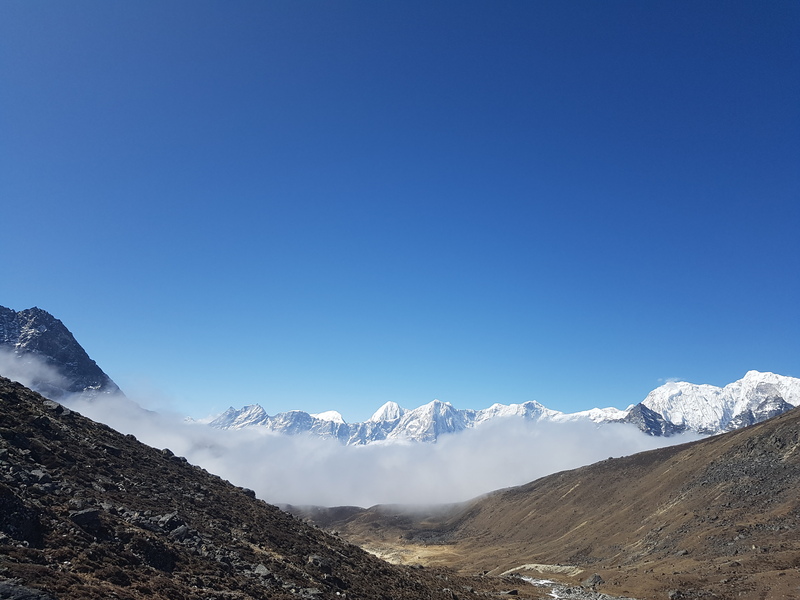 There are a variety of lovely day treks to take from Namche to help gain additional altitude and help your body acclimate. 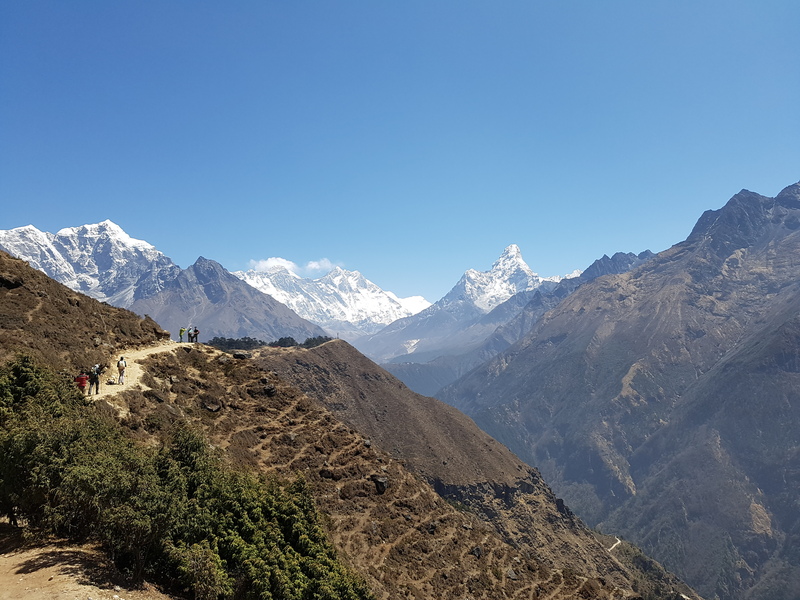 Your guides will take you to some favorite spots, maybe even The Everest View Hotel – where in good weather there are outstanding views of Mt. Everest, Mt. 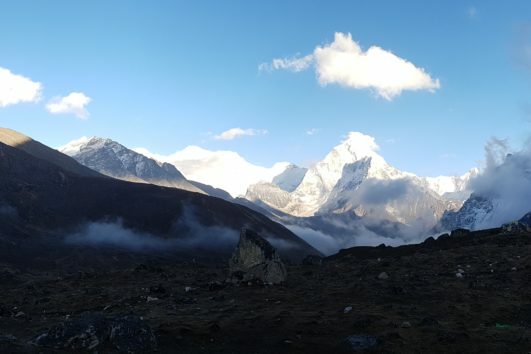 Nuptse, Mt..Lhotse, Mt.Ama Dablam, Mt. Thamserku and Mt.Kusum Kangaru. The walk out of Namche up to Kyangjuma Village is quite steep. The most outstanding feature of the trail today is the variety of wildflowers and Rhododendrons and it’s also a great place to perhaps see pheasants, mountain goats, and maybe a musk deer. The trek continues through forests and over bridges, spotting a few waterfalls along the way until we reach Dole for the night. From Dole we climb steadily along the side of the valley, where the small, thorny bushes give way to scrub juniper as the altitude increases. The trail passes many summer settlements. We will have excellent views of Cho Oyu. This is a pretty short day and you will arrive at Machhermo in time for lunch at the lodge where we will spend the night. Machhermo is the last major settlement on the way up to Gokyo. 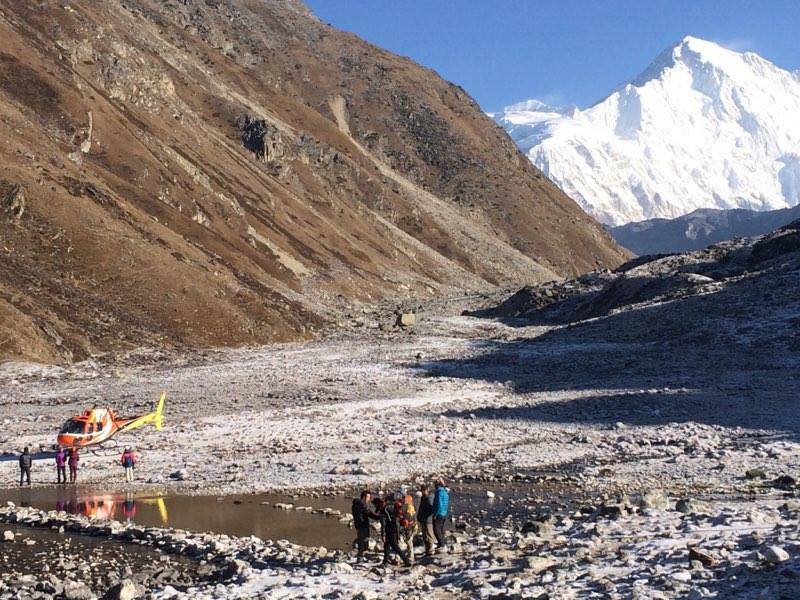 You can visit the Himalayan Rescue Hospital here for a lecture on altitude sickness. Today, we head for the breathtaking lakes of Gokyo. 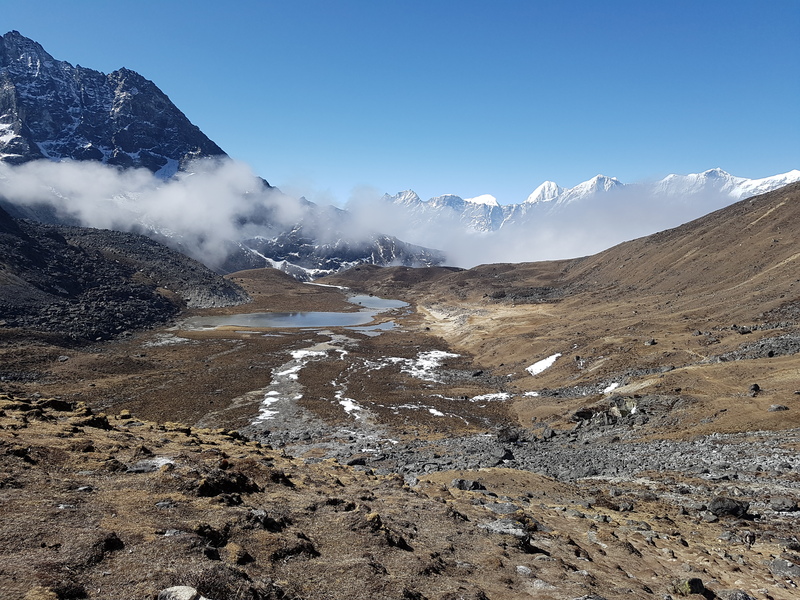 We will follow a scenic trail to Pangkha and then descend slightly, following one of the melting-water rivers which flow down from the west side of the Ngozumpa Glacier. There is a steep climb up rocky path, inclined into the valley by the side of the glacier, passing the first of the three holy lakes. 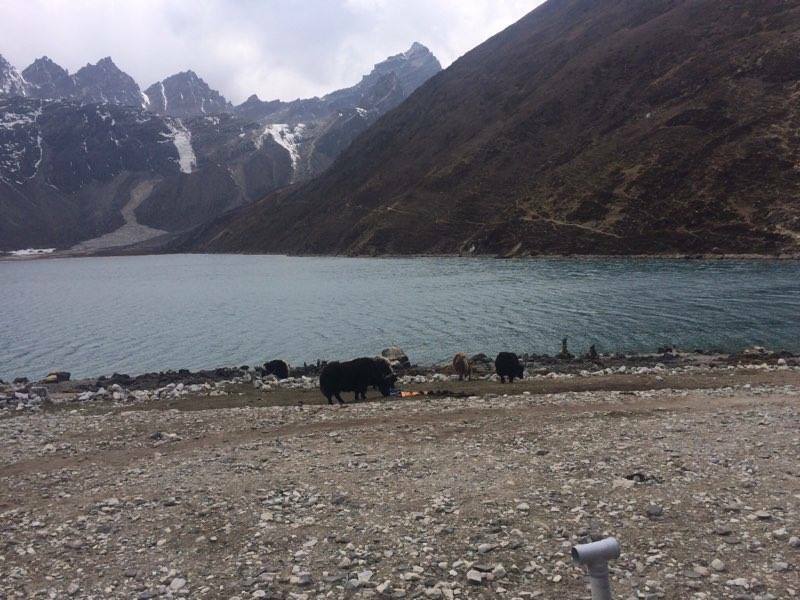 Gokyo village stands by the third lake and you can see Cho-Oyu Mountain as an amazing backdrop. After lunch, you can explore around the third lake, Dudh Pokhari. We’ll stay overnight at a tea house here. 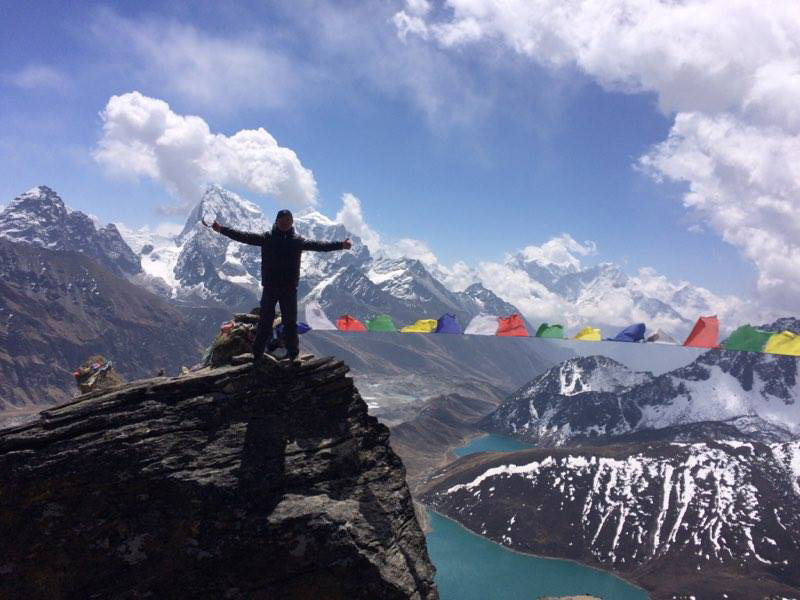 If the weather is good, we can climb Gokyo RI and enjoy one of the best viewpoints of the Everest Region. 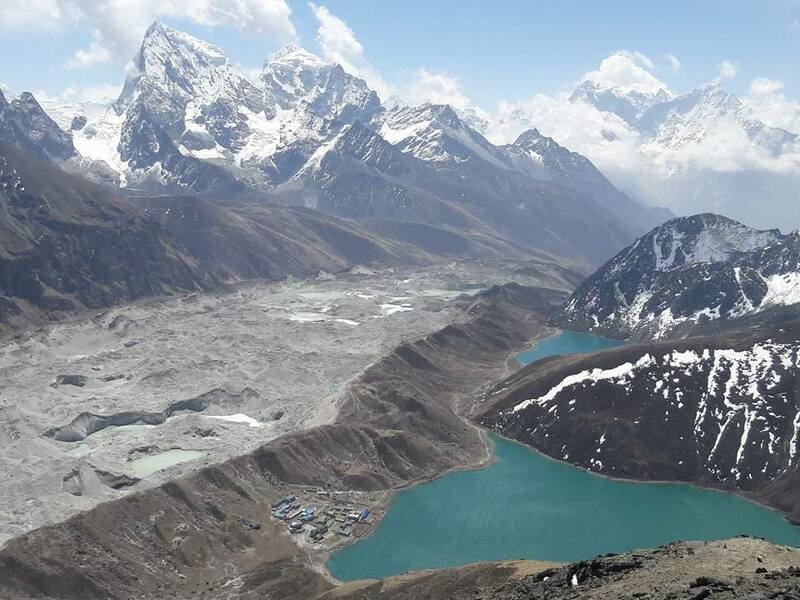 Gokyo is not only popular for its grand view from Gokyo Peak but also for the six lakes which it hosts. 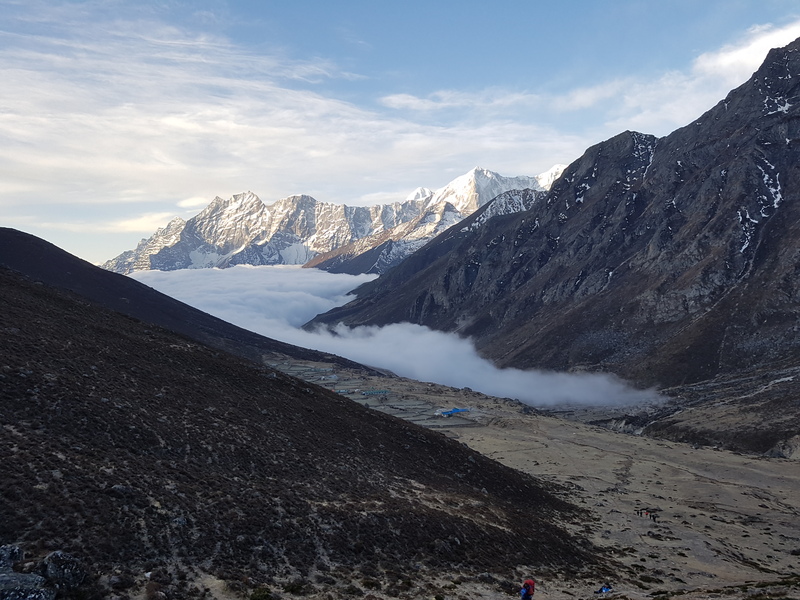 We will see the Northern part of Cho-Oyu base camp and the biggest glacier in the world, Ngozumpa glacier. 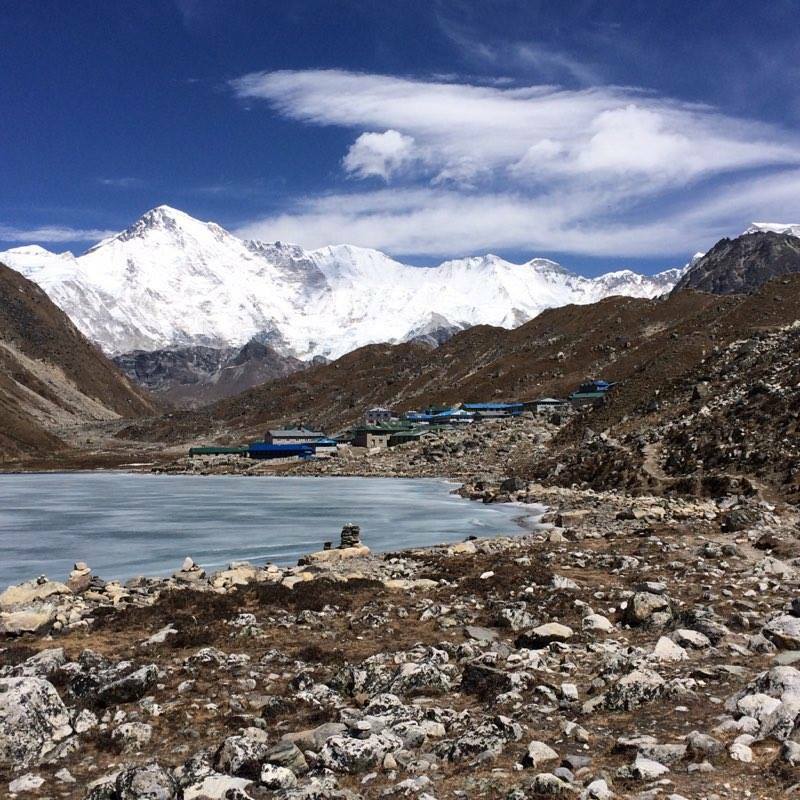 Gokyo is situated on the side of this glacier and is a trade center where the Sherpa people run lodges to provide services to the trekkers. trek to Thaknak for overnight being by the second Lakes and the Ngozumba Glacier. We stay overnight at a tea house. This will be one of the toughest days and we need to get an early start. 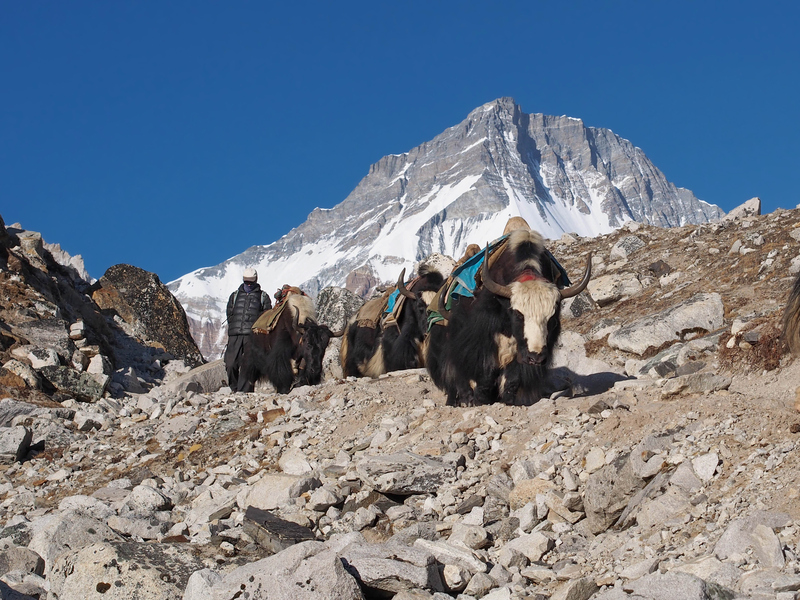 Cho La pass itself is not difficult but it is steep and involves a glacier traverse on the eastern side. 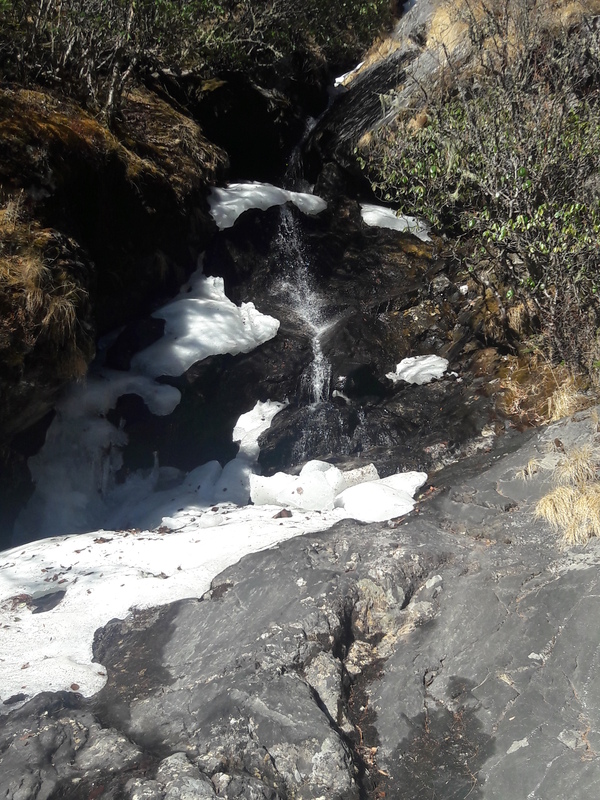 Trekkers need to take care, as the trail is vertical and the rocks can be covered in ice, making the trail slippery. The rocky trail climbs continuously up from Phedi, and as we gain height, the view is increasingly captivating. We’ll pass through the side of a frozen lake while we come to the top of the pass and also through some crevasses before we reach Dzongla. Overnight at a tea house. After breakfast, we continue to Gorak Shep, crossing through an area with huge boulders and glaciers. 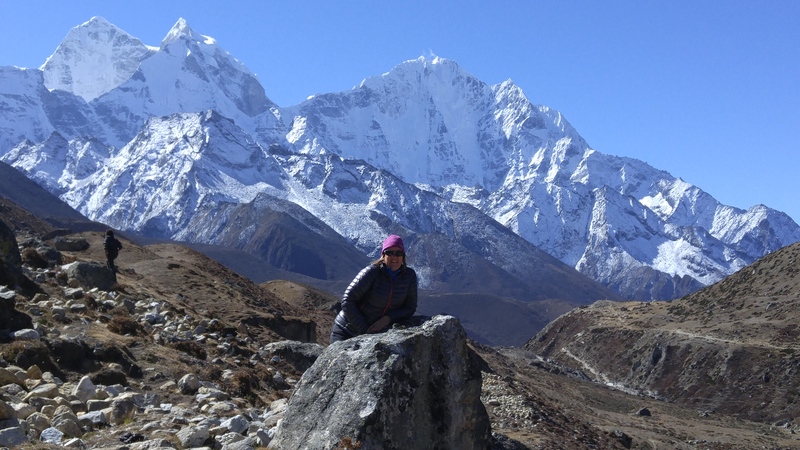 The trail is rocky and windy but it offers great views of the Khumbu glacier. After a brief lunch and rest. 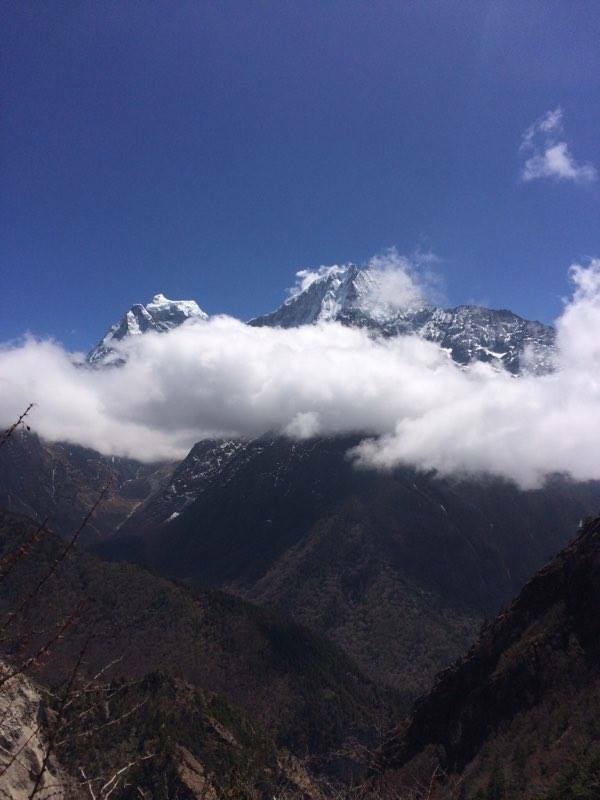 We continue towards Everest Base Camp. till you reach the base camp! After celebrating your achievement, we will retrace the trail back to Gorak Shep. Overnight at tea house. 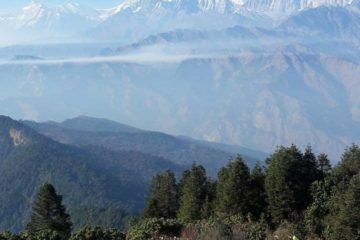 Those who want to experience the sunset atop Kala Pattar will rise before dawn to summit the highest point on this trek (optional). 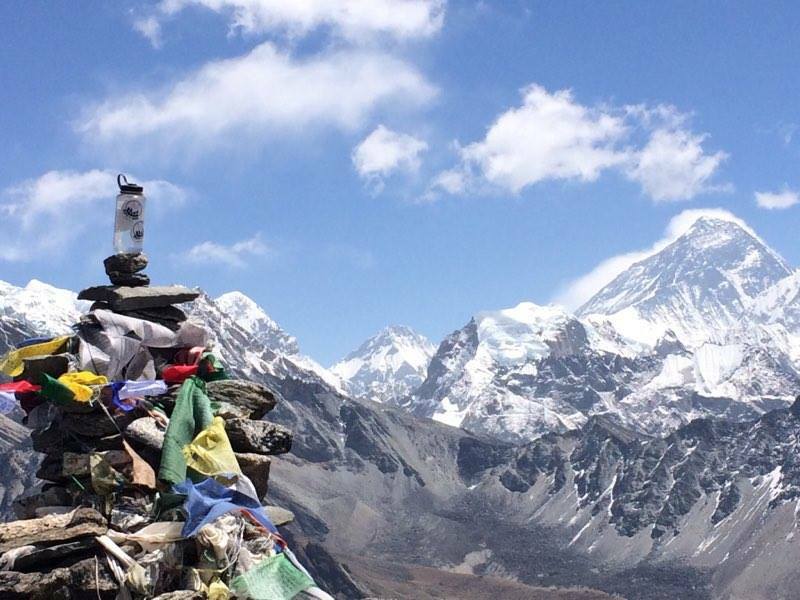 It is a 90 min tough ascent (usually very cold) but it has the best views of the summit of Everest. 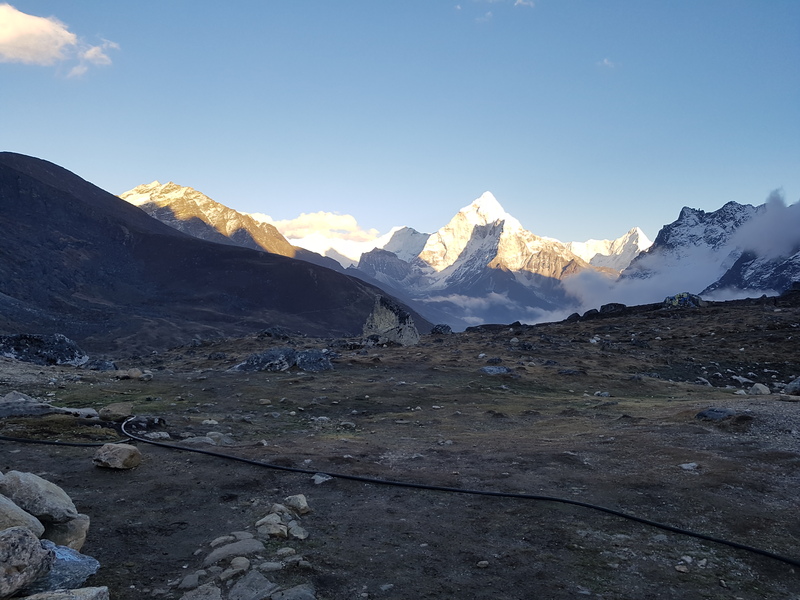 After experiencing an amazing sunrise view we return back to Gorak Shep, and will have breakfast together; and descend down to Pheriche. Overnight at a tea house. 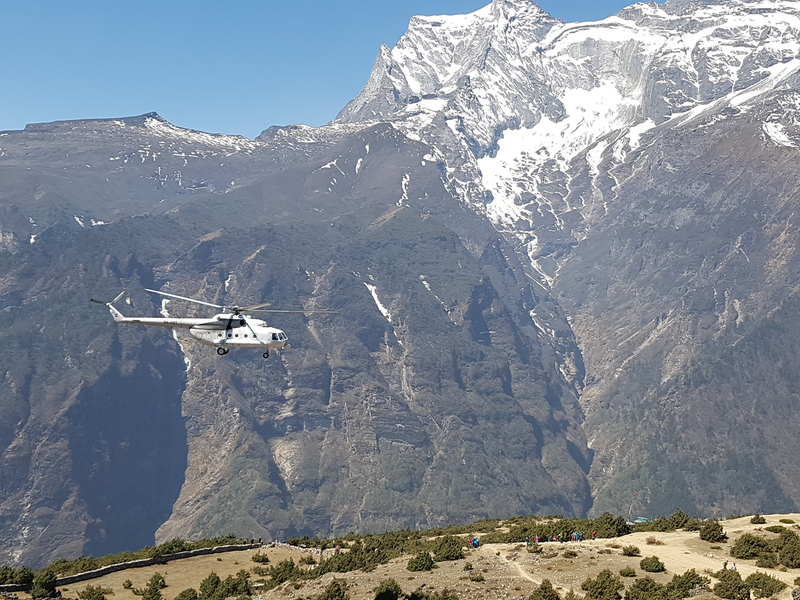 To reach Tyangboche we’ll pass through Pangboche village, which is known to have the highest permanent settlement throughout the year in the Khumbu region. 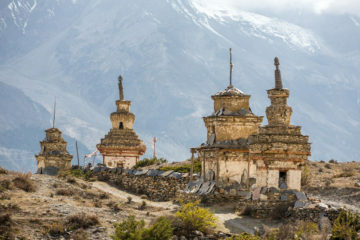 In Tyangboche village is a legendary monastery, the largest in the Khumbu region. 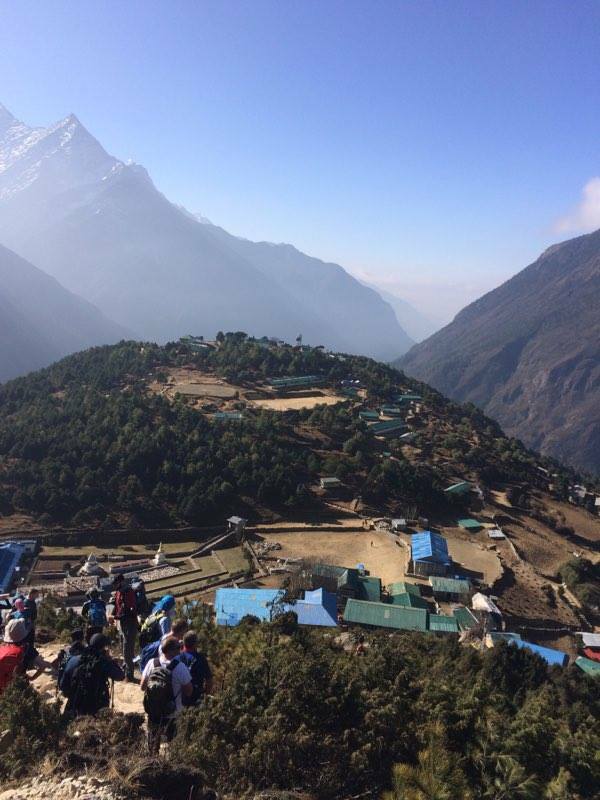 There is a trekker’s visiting center where local Sherpas make different goods to be sold. They also show a slide presentation about Sherpa people, culture, the Buddhist religion and environmental development programs. Overnight at tea house. The trail descends steeply and slightly towards Phunki Tenga (3250m) crossing the Dudh Koshi River. 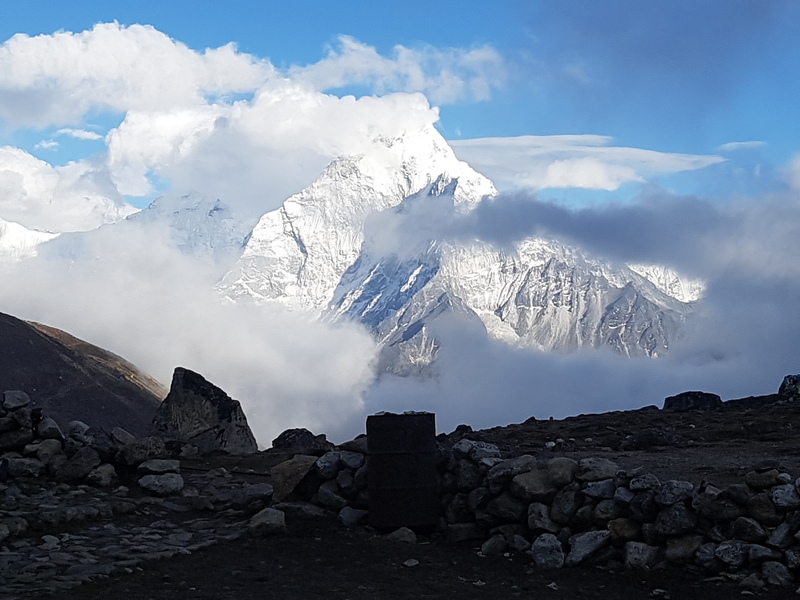 Here we will have panoramic views of the great peaks of the Khumbu, including Mt Everest, Nuptse, Lhotse, Ama Dablam, Thamserku and Kusum Kangaru. 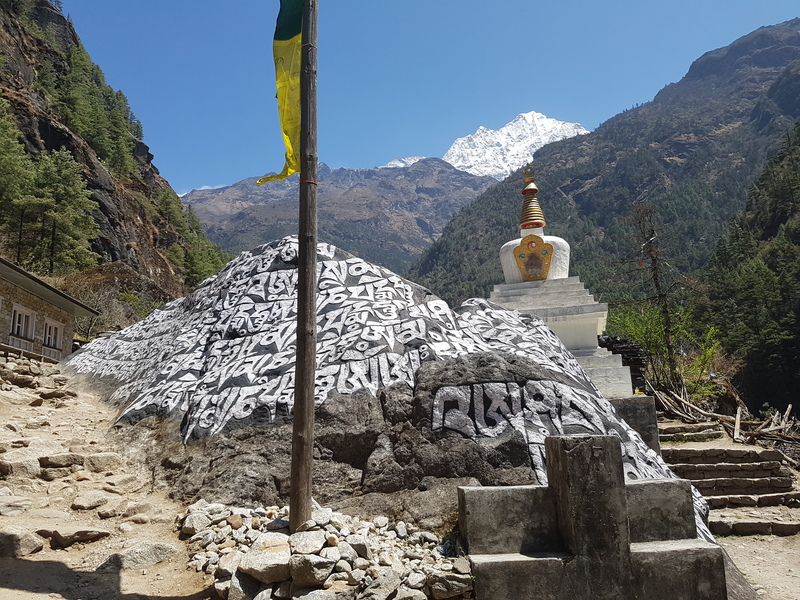 Passing by several villages and numerous teashops, the trail ascends steeply to Sanasa where local Sherpa people sell Tibetan goods, and then brings us back to Namche. Overnight at tea house. have enough time to rest and celebration with our team. Overnight at tea house. Depending on your flight arrangements, you will have a day or two to continue exploring KTM.